Please choose from the following menu items! You can find the content under the menu. I warmly welcome all those who are interested in our institution. Besides training programmes for church staff Apor Vilmos Catholic College offers programmes mainly in the field of teacher education. Our institution is open to non-Catholic or non-religious students, too, but the representation and transmission of Catholic values is present throughout the training spectrum of every program we offer. Apor Vilmos Catholic College is hosted in the impressive building of a one-time seminary in Vác, a town half-an-hour ride north of Budapest. It has been the college’s headquarters since 2004, offering the pleasant environment of a restored, listed building in one of the most beautiful squares in Vác, in the proximity of the Assumption Cathedral. The growing need for part-time and postgraduate courses necessitated expansion, and to our delight a modern campus was opened recently in Budapest in the building of an old school. The renewed building is fully barrier-free, excellently equipped to meet the 21st-century demands of education and various organized events. With the continuous widening of the training spectrum we can launch here new programmes and new training forms alongside the postgraduate courses. As the conditions are outstanding, and we have a dedicated teaching and ancillary staff to meet the demands, there is no obstacle to the implementation of great plans and dreams. Young professionals with AVCC degree can easily find employment. We plan to launch further BA and MA programmes adapted to modern needs ensuring a wider choice to all those who wish to study in a familiar ambient and in a genuine fellowship of students. Our international relations provide a wide range of opportunities for pursuing studies or internship abroad. There is a steadily increasing number of postgraduate courses for teacher colleagues to select from. 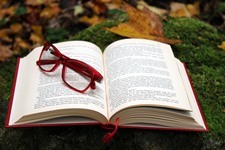 In addition to education, various research activities are carried out at our school. 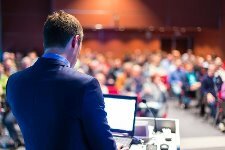 Conferences organized by AVCC, often at an international level, our periodicals: Katolikus Pedagógia [Catholic Pedagogy], Szociálpedagógia [Social Pedagogy], Anyanyelvi és Irodalmi Nevelés [Teaching Hungarian] offer a great opportunity for sharing scientific results. Most of our lecturers hold a PhD degree or have enrolled to a doctoral course. Research groups – also open to our students – examine the different branches of science. As a leader I am convinced that we can make progress by building on and making use of earlier achievements. We must learn from the mistakes in order to develop a college as a community of people who help each other and work for a common goal. 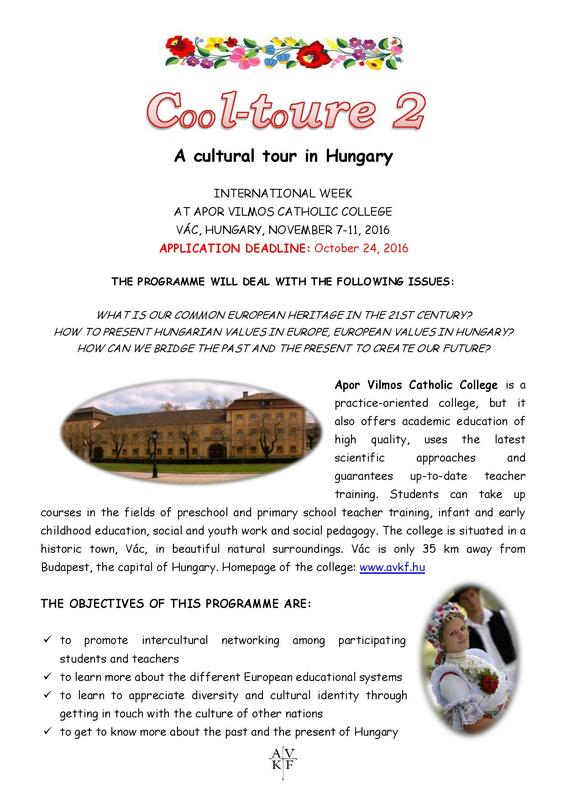 Apor Vilmos Catholic College offers training programs in Hungarian language on two campuses located in Vác and in Budapest. In Vác BA, MA and postgraduate courses are offered. Training fields encompass BA programmes in teacher education, social science, religious studies and MA programmes in educational science and social pedagogy, mental health and community development. Besides the up-to-date theroretical knowledge, the BA programmes of Infant and Early Childhood Education, Pre- and Primary School Teacher Training and Social Pedagogy provide practice-oriented training to prepare students for their prospective vocation and for the requirements of the labour market. The 2-year Educational Science MA programme prepares students for educational research and governance in public and higher education and education management. The Social Pedagogy MA programme targets at the imporvement of the circumstances of disadvantaged children and youth and their families. The Expert in Mental Health and Communitiy Development MA programme is aimed to train professionals who will develop and lead supportive and protective communities in the different fields of society. Religious studies programs (Chorister and Catechist-Pastoral Assistance) deepen the students’ vocational commitment by the transmission of solid professional knowledge and Christian values. AVCC offers a range of postgraduate courses in Budapest and Vác providing an opportunity for all those who want to deepen their knowledge or want to learn something new. These courses include postgraduate specialist training courses, course supplementing specializations and accredited postgraduate courses for teachers. 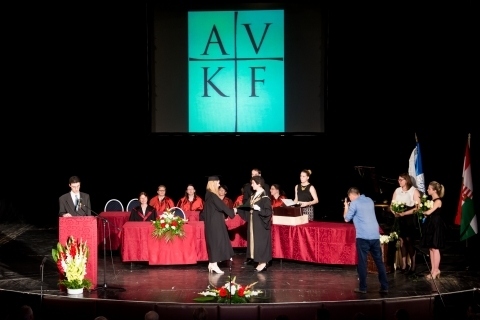 AVCC is planning to launch a variety of vocational training courses in the fields of pedagogy and social care in Budapest. Those who have successfully accomplished a vocational course will have the opportunity to deepen their knowledge in the related BA programmes of the college. AVCC also offers a Part-time Training Program in Early Childhood Education ( BA) in English language. 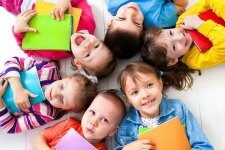 In Hungary we are the first to offer a BA training program in Early Childhood Education in English. This degree entitles the holder to fulfil positions at preschools with an English language programme (for example, bilingual and international preschools), and also provides an opportunity for students to acquire a proficiency (C1) level knowledge of English. History. The Swiss Ingenbohl-based Sisters of Mercy of the Holy Cross established themselves in Hungary in 1865. Their first novitiate was founded in Zsámbék, a village 30 kilometres west of Budapest, in 1901. In 1904 the order got a derelict building from the municipality for educational purposes. They undertook the task of renovation and founded a Roman Catholic girls’ school and a kindergarten, where the language of education was Hungarian. The higher elementary girls’ school opened in 1905. In the years 1921-25 the sisters also ran a higher elementary school for boys. The scope of education widened continuously, and in 1929 a teacher training institute was started. The sisters turned the Baroque building of the one-time Zichy mansion into one of the most modern, best equipped teacher training institutes of the country. Not only did they rebuild the ramshackle mansion but also extended it with new wings, more storeys and bought additional buildings, gardens, a park, a lake and some land. The first graduation ceremony took place in 1934. In 1938-39 the sisters opened a lyceum and on a newly acquired land they had a playground and a tennis court built. On 30 June 1948 the teacher training institute and the lyceum was brought under state control, its equipment was taken away and given to other, state owned teacher training institutes. In 1948 the process of teacher training in Zsámbék was broken. In September 1977, in order to reduce a teacher shortage of long years, the Minister of Education gave permission for the establishment of an affiliated department of the Esztergom Teacher Training College in Zsámbék. 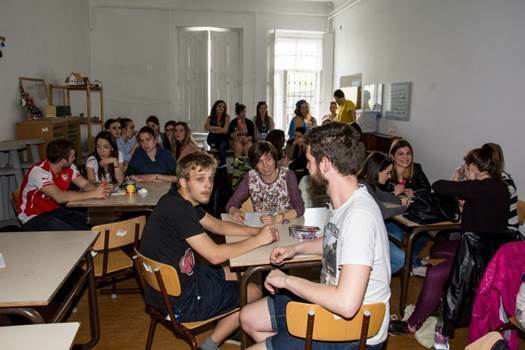 The firs academic year was started with 78 students and 10 teachers. The institute developed year by year, and soon there was a new, 16-classroom school built in Zsámbék, which complied with the contemporary requirements of practical training. From 1 September 1983 the institute could perform its activity as an independent college called the Zsámbék Teacher Training College. It trained primary school and kindergarten teachers. The third period began on 1 July 1993, when the College was taken back by the Catholic Church in Hungary. The properties were returned to the previous owners, the Sisters of the Holy Cross. 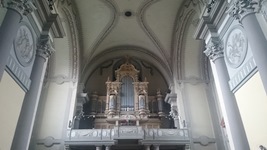 Management duties were undertaken by the Székesfehérvár Diocese. As a further stage of development, five new departments were established between 1992-94 in addition to the already existing seven. At that time the number of students attending primary school and kindergarten teacher training, the newly started social pedagogy training, the religious and postgraduate courses was nearly 1000. The ever-increasing number of the students of teacher training required a continuous development of the system of practical training. In 1993 the college management decided to establish a practice school of its own the first year of which started on 1 September 1995. Later on, two more church-owned primary and secondary schools became the practice schools of the College. From the mid-1990’s kindergarten teacher training played an increasingly important role. To establish a practice kindergarten was a pressing necessity, as the Zsámbék local kindergarten was not able to see to the growing needs. This plan was only realized in 2001 when a Budapest kindergarten was taken over by the College. In the year 2000 the College was named after the martyr bishop Vilmos Apor. So, the College is now called Apor Vilmos Catholic College. August 2004 brought a dramatic turn in the life of the College. The roof of the building caught fire and more than 50% of it burnt down. Because of this extensive damage the school could not be run any longer in Zsámbék. 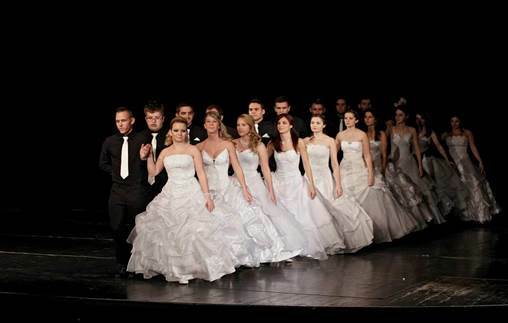 The College moved to Vác, a town 25 kilometres north of Budapest, where buildings of suitable size were provided. The year 2017 saw a great development: the inauguration of the new Budapest campus where part-time and postgraduate training is offered with cutting-edge equipment for the professionals of education of the 21st century. The objective of the programme is to train professionals who are capable of and dedicated to educating children of 3-7 years of age, after acquiring profound theoretical knowledge, competencies and skills. Students choosing an ethnic minority specialization are also trained to educate children both in Hungarian language and in the language of the ethnic minority, to develop the identity and transmit the culture of the ethnic minority in an age-appropriate way. The objective of the programme is to train teachers for 1st through 6th grade children who develop children’s personalities – according to the changing societal demands and the purposes of primary education – in a complex way. Students are trained to teach in all content areas in grades 1 – 4, and to teach in a chosen content area for grades 1 – 6. Students with an ethnic minority specialization are trained to teach in all content areas in grades 1 – 4, and to teach the language and culture of the ethnic minority for grades 1 – 6. The objective of the programme is to train professionals who are capable of working in institutions that help educational and social services; handle the learning, social and mental problems of children, young people and their families in a complex way; maintain, restore and develop a balance of the child, the young person and their environment. The practice-oriented training includes visits to institutions, intership and a 360-hour field practice. The objective of the programme is to train infant and early childhood educators who provide for the care and education of children from birth to age 3. Graduates gain comprehensive knowledge of the early childhood care system, have the competence, autonomy and responsibility to perform the tasks of their profession. The programme aims at training catechists and pastoral assistants to perform preaching and pastoral activities. According to their specialization they either teach catechism to children, youth and adults, take part in the work of evangelisation, or they guide communities, lead or perform certain liturgical events, charity or cultural activities. The objective of the programme is to train professionals who conduct the music service of the church and can convey the biblical message in song and music. It provides the theoretical and practical skills which enable the students to lead activities of the church congregation of different ages. The objective of training is to prepare students for educational research and practical work in the public and higher education and in organizations; to design and evaluate learning programmes in schools; to participate in educational research and development, and to communicate the Hungarian achievements in educational science on national and international platforms. The programme prepares students to pursue doctoral studies in Educational Science. The aim of the programme is to train professionals who give help using their theoretical knowledge about the functioning and the dysfunctions of the society, about interpersonal relationships, deviances, groups of special needs, about the education, development and professional assistance in a public educational, societal, child welfare, and child protection setting; who improve the circumstances of disadvantaged children, youth and their families. It prepares students for individual or team research, for the educational, decision-making, governing, planning and organizing duties in the areas of social pedagogy. Graduates of the programme can pursue doctoral studies in social pedagogy. The programme aims at training experts in mental health in relations and community development who contribute to the management and alleviation of social problems and to the strenthening of local society; who are able to build, develop and lead fostering, supportive and protective communities or community networks in a settlement, at a workplace, in the civil society, in a church or a denomination. Apor Vilmos Catholic College maintains two dormitories for the students of the college and for guest students who come to visit Vác. The Central Dormitory (Központi Kollégium) is in the main building of the college and Szent József Dormitory is a few minutes’ walk from the main building. This dorm gives home to most of the events organised by the Students’ Union. Here one can find three sports fields and fire rings in the backyard. The dorm also has an inner courtyard, where students can gather for a friendly chat. Contact the Students’ Union on Facebook! 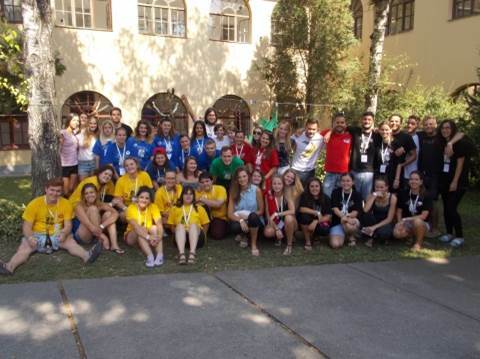 Freshman Camp: Each year, at the end of August the Students’ Union organises a four-day camp where freshmen can meet their fellow students and can have fun. The Students’ Union always makes colorful programs for the new students. This event is offered to the new students of the college. The ball has a program plan, which includes an opening dance, a raffle, a talent show and concerts. This event is usually held in April. It includes a lot of different and exciting programs, such as escape room, quiz about our college and our teachers, theatre play, slam poetry, concerts, test driving, football and volleyball. 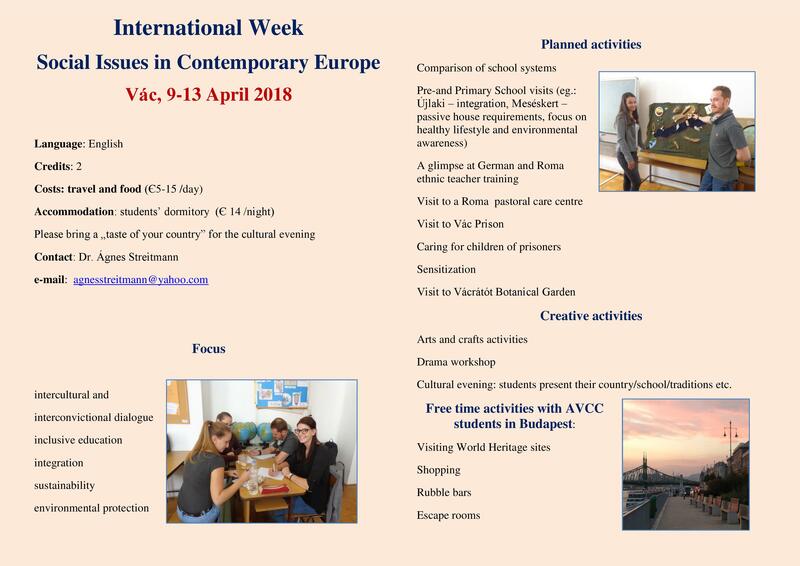 The college organises international weeks focusing on a certain topic. 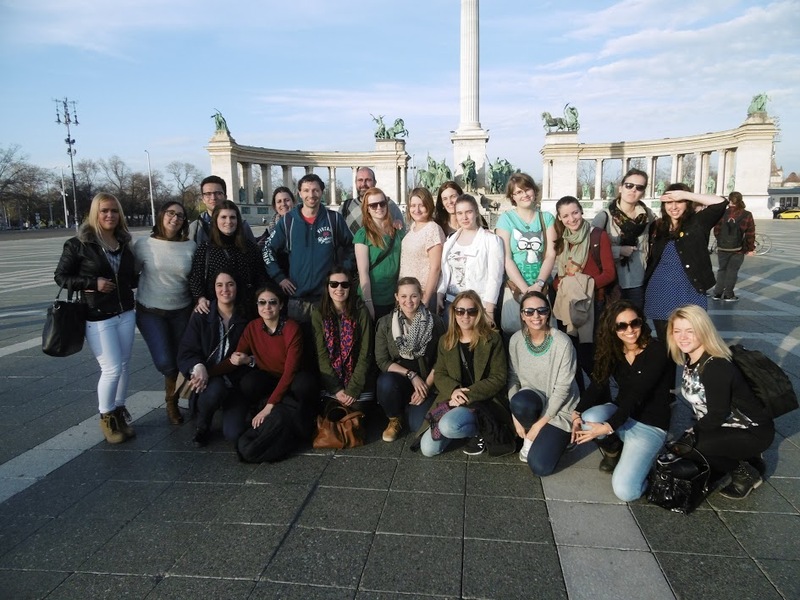 The Hungarian students also take part in these programs. 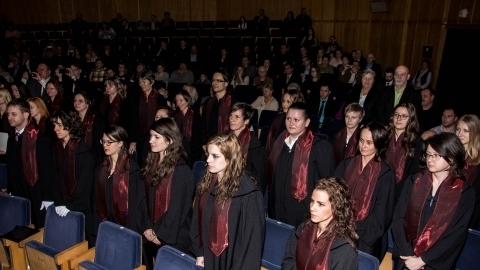 At the end of each semester the graduating students receive their diplomas in a solemn ceremony. Film club, as long as the weather permits: grill party, pancake afternoon, Karaoke party, Christmas party, Soccer Cup. This comprehensive course aims at facilitating effective international communication, which enables students to cooperate with students from other countries or of different cultures. In the general multicultural environment Europe and the world is facing, intercultural dialogue is of cardinal importance. It is important to develop cross-cultural empathy and behavioural flexibility. And it is always interesting to learn about each other’s customs, social behaviour, and conventional norms. comparing special pedagogical programmes for pre/primary school children with learning disabilities and disorders/special needs/ disadvantaged background. During the course students will be taught to use different planning and analysis tools to discover the structure and the plot of stories, to be able to tell stories in an attractive and creative way. Visual prompts and accompanying actions make the story more memorable. Students will also be taught the three key skills to storymaking. 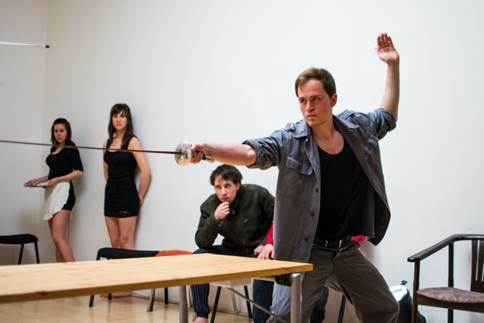 The stories will also be presented through the tools of drama. Humans’ ability to play is one of those wonderful universal skills through which people can connect with each other, release stress, and understand themselves and the surrounding world better. 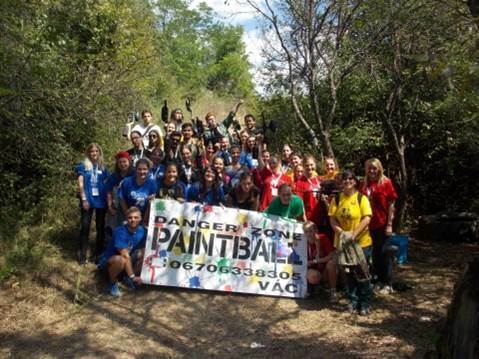 You need no language to play, so it bridges the gap between different nationalities. At the same time, different people have their own unique social and cultural makeup which is worth the exploration. Drama is an excellent way to celebrate our differences, and to enhance sensitivity and empathy towards each other. This course offers would-be teachers and social workers an opportunity to explore the possibilities of verbal and non-verbal communication through drama. During the course, we are going to try out different games that students can use in their diverse professional fields. 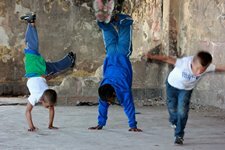 These games can improve creativity, help intercultural dialogue, create more energy, enhance concentration, and cause a lot of fun – just to mention a few benefits. During the course students will become familiar with the essential theoretical knowledge, pedagogical applications and practical language skills needed in teaching a second language to young learners in bilingual and international pre/primary schools. They will learn about the physiological and psychological factors enabling early bilingualism and multilingualism and about the language teaching approaches based on the distinction between language acquisition and language learning. Participants in this course become familiar with different educational programmes and fundamental organizational issues in bilingual and international pre/primary schools, and will be able to plan and comment on the early foreign language acquisition part of the educational programme. Students will be acquainted with different ways of communication, interaction helping pre/primary school children of different cultural background integrate into the everyday life of the school and the community. 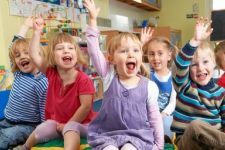 They will learn about the educational partnership between teachers, day care workers and parents, which aims at promoting a child’s balanced growth, development and learning in international educational institutions. 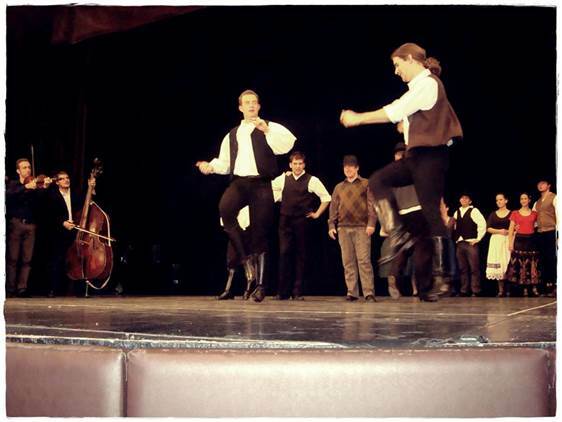 Hands-on experience by creative activities, arts and crafts, folk dances etc. Talent promotion aims at not only the few gifted, it can be beneficial for all children and youth. All of them possess potential that can be developed. The development of resources in young people is intertwined with supporting interaction, self-confidence, and self-monitoring skills, social and emotional competence, communication skills, persuasive power and, last but not least, with developing one of the so-called key competences – intercultural competence. There are skills, competences and resources and there are several ways to develop these in order to promote talent successfully. One way is to bring together the students of two teacher training institutes from different countries. Students can work together to collaborate in research, to learn about each other’s culture, to share their knowledge and finally to meet personally when visiting each other’s institutions. 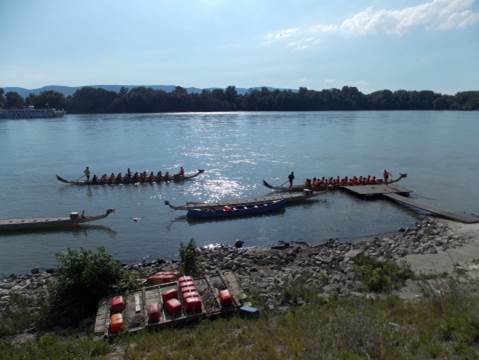 This is exactly what two teacher training institutes – The University of Winchester from England and Apor Vilmos Catholic College from Hungary – decided to do by launching a joint project based on English and Hungarian folktale traditions. 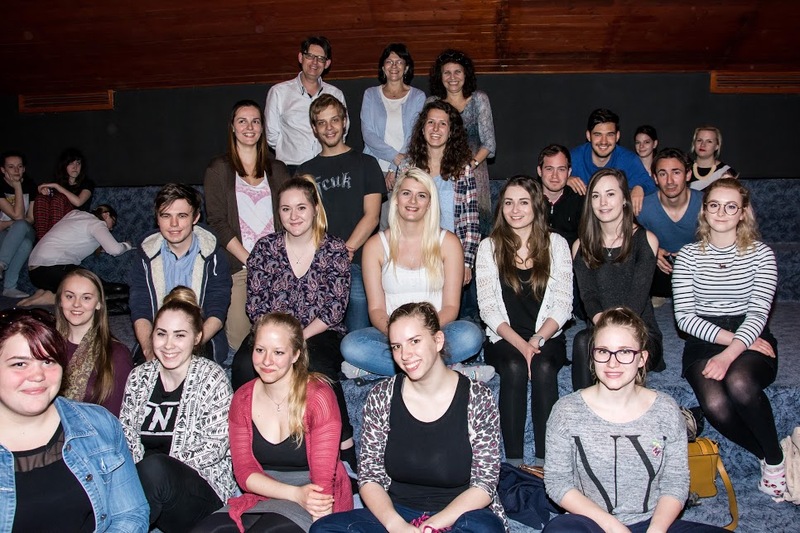 The project began at a meeting of the Comenius Association in 2015. Two lecturers, Agnes Streitmann (Apor Vilmos Catholic College) and Jonathan Rooke (University of Winchester) with a shared enthusiasm for children’s literature realised they both taught their students about traditional folk tales and fairy tales. There was clearly commonality in the approaches and analytical tools. It became apparent that some of the tales that the English and Hungarian students study belong to the same tale-type and cycle. This triggered an idea. Could students from Hungary and England study together folk and fairy tales, share their research findings and do pedagogical work together? Appropriate tales were selected, a project plan was outlined and an international research project was born. The shared project between the two institutions emphasizes not only the intercultural aspects of folk tale tradition through investigating similarities and differences, but also targets identifying the national characteristics emerging in the tales, and enhancing knowledge about the British and Hungarian culture. 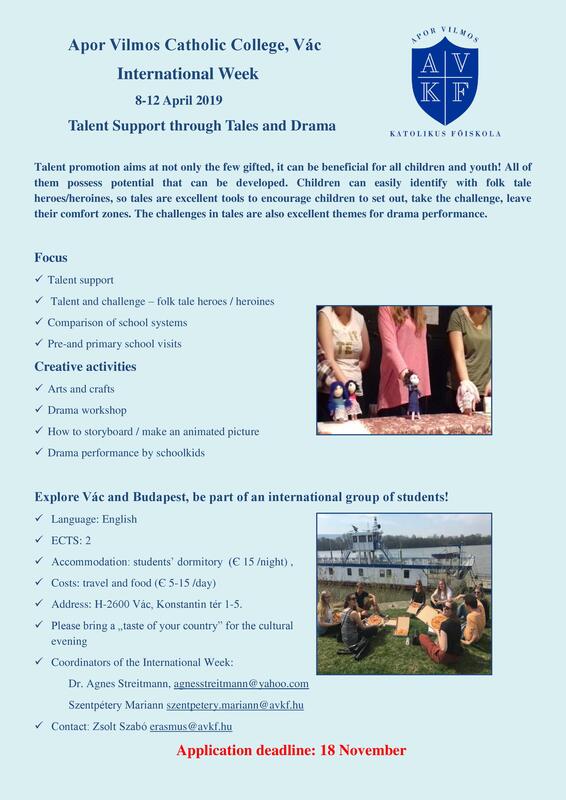 The project aims at fostering talent in Hungarian and English students by encouraging them to use English and Hungarian folk tale traditions in a creative way, to use the literary treasure of the two countries in their ways of expressing their thoughts, ideas, emotions about the world, human relationships, social changes and the connection between past and present. 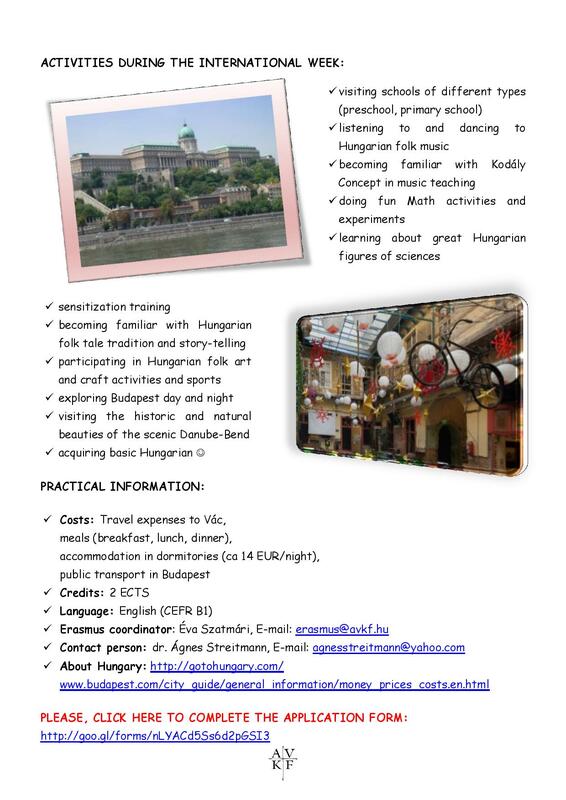 For Hungarian students, the project also offers the possibility to develop their English language skills. It intends to encourage schools from each country to actively participate, thus making it possible for students to compare pedagogical practices in a different European country. Students and schools will develop pedagogical teaching and learning activities for children to use so they can engage meaningfully with folk and fairy tales. 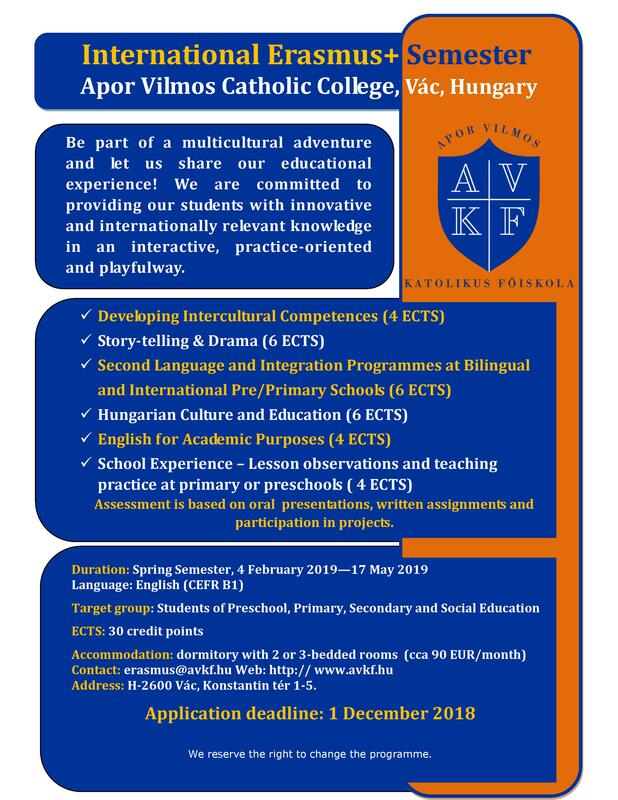 The project aims at promoting and providing both academic and practical background for the English and Hungarian Folk Tales Research Project of University of Winchester and Apor Vilmos College. The students investigate English and Hungarian Folk and Fairy Tales favouring tales that are common to both England and Hungary. They have studied English and Hungarian Folk Tales for example which belong to the animal bridegroom fairy-tale cycle, different Jack and the Beanstalk variants, the Gingerbread Man and other tales belonging to The Fleeing Pancake tale type, and some tales of the Cinderella cycle. In the 2018-19 academic year they are supposed to work with different kinds of folk tale heroes and heroines. The theoretical aspects of the project comprise reading and analyzing English and Hungarian folk tales focusing on language patterns, folk tale motifs and imagery; examining universal values and common truths while simultaneously addressing the specifics of the tales as historically and culturally bound. Students investigate different aspects of the tales within cultural narrative, moral, and psychoanalytical frameworks, and they get familiarized with critical methodologies used in the study of folk and fairy tales – Propp’s structuralist, Bettelheim’s psychological framework, and Zipes’ socio-political approach – and apply these methodologies to the texts. Besides doing research on the texts, students are encouraged to investigate the ways the tales are represented in diverse cultural forms through books, picture books, artwork, puppetry, drama, media adaptations. Students share their research findings on a project website , which is populated with their research papers, film links, project activity plans, records of their pedagogical practice in classroom. For the informal communication students made a closed facebook page. Practical and artistic aspects are also emphasised in both institutions. The theoretical, research part of the project is accompanied by art and craft activities aiming at preparing puppets, props, scenery, illustrations and so on to be used in performances in seminars and in school work with children. In parallel with the English and Hungarian students’ cooperation, there is also primary school work. Students research possible ways of working with the children based on the tales. They prepare lesson plans, dramatize and perform the tales with children. Records of their pedagogical practice in classrooms is recorded on the project website. In the autumn term schools that have existing good partnerships with the universities host the students and assist them in their practical classroom work with children. Students work with children in their home country, experimenting with ideas for teaching children about the folk and fairy tales. They refine these and then prepare to share the classroom pedagogical techniques with their partner students during the project-week at the partner institution in the spring term. The most popular storytelling techniques and pedagogical applications used by the students so far are as follows: Kamishibai (paper theatre), story-mountain, story-map, story-string, tablet technology, dramatization of tales. 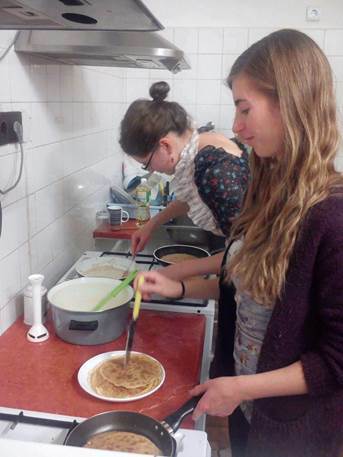 During the project weeks students also participate in exciting and inspiring thematic programmes. 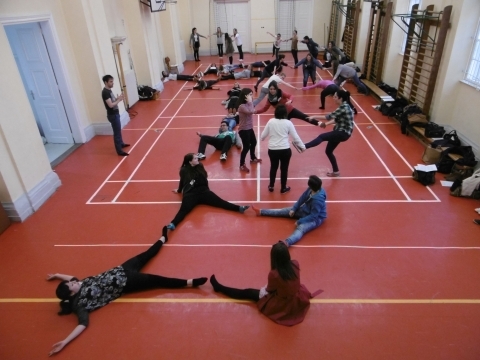 They join the interactive workshops held by lecturers and guest performers, watch dramatized versions of tales performed by primary school pupils and puppet performances at puppet theatres, visit story museums, and enjoy sightseeing in Budapest and Winchester. Comenius Association is an international network of European institutions of higher education specialized in teacher training and social education in 18 countries. Its purpose is to contribute to furthering the intercultural dimension in training European teachers through the cognitive, behavioral, methodological, pedagogic and linguistic domains. Address: Konstantin tér 1-5. H-2600 Vác, Hungary. The office is responsible for managing international programmes, at Apor Vilmos Catholic College, administering the establishment of new international partnerships and cooperating in maintaining the existing ones. It also oversees international grant applications and international projects: both exchange programmes and research projects. Coordinating the Erasmus+ programme at the institutional level is one of the main responsibilities. You always have to buy your tickets (either for the bus or the train) in advance from a ticket machine or at a ticket office. From the Airport you can take bus No 200E to Ferihegy Railway Station (5th stop), where you can change to a train which takes you to Nyugati pályaudvar (Western Railway Station), which is the last stop. The train goes quite frequently. From Nyugati pályaudvar (Western Railway Station) you should take a train to Vác. There are shuttle trains (in Hungarian: zónázó) No Z70 every hour at 07 (e.g. : 8.07), the first stop of which is Vác Railway Station (journey takes 25 mins). Or there are passanger trains No S70, which stop at every station and take 42 mins, and their last stop is Vác. These trains start from Nyugati every hour at 15 or 45 (e.g. : 8.15 or 8.45). From Vác Railway Station it’s a 15 minutes’ walk to get to the college. Here is a map (the college is next to the Cathedral – No 5 on the map – on the right side). Our two dormitories provide comfortable housing and learning conditions for a total of 145 students. Accommodation is reserved in the central dormitory for some 20 international students and staff visiting our college or attending our Erasmus+ Semester.